Officedrop offers reliable and affordable office fruit delivery in Edinburgh and the surrounding areas. Our fruit boxes are all packed carefully by hand and delivered directly to your office, which ensures you receive top quality fruit with minimum hassle. All our fruit is sourced from wholesale fruit markets as close to your area as possible. We also offer cost-effective deliveries of other items to keep your office kitchen well stocked. These include office milk, snacks, tea and coffee, plus flowers for your reception desk or meeting room. 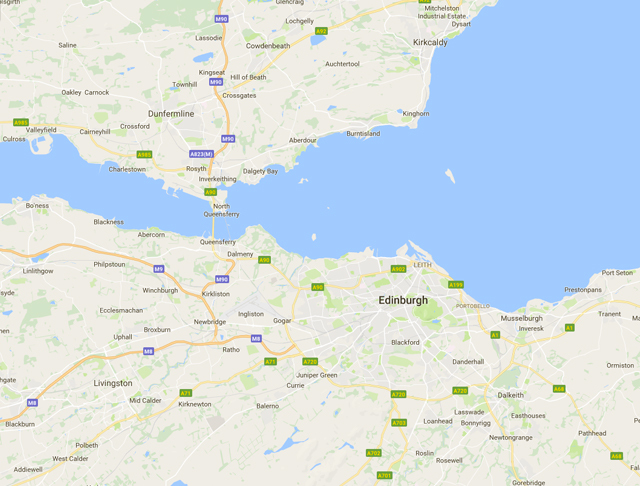 We make Monday and Wednesday deliveries to Edinburgh city centre and the surrounding cities and towns, such as Dunfermline, Livingston and Stirling. Deliveries start early and are normally completed by 11am. If you have any questions or would like to discuss anything relating to our office fruit and milk delivery or any other items in Edinburgh and the surrounding areas, please call us on 0333 358 3310. Here at Officedrop, we are passionate about fruit and we believe that eating healthily at work has many benefits not only for your staff but for companywide productivity and performance. We also want to save you time by delivering items like milk, tea and coffee straight to your door. Fruit Facts! The amount of grapes we include in our boxes each week is the equivalent of four of the 150kg cannonballs fired by Meg Mons, one of the two giant siege cannons at Edinburgh Castle.